The Tornado at Canterbury . 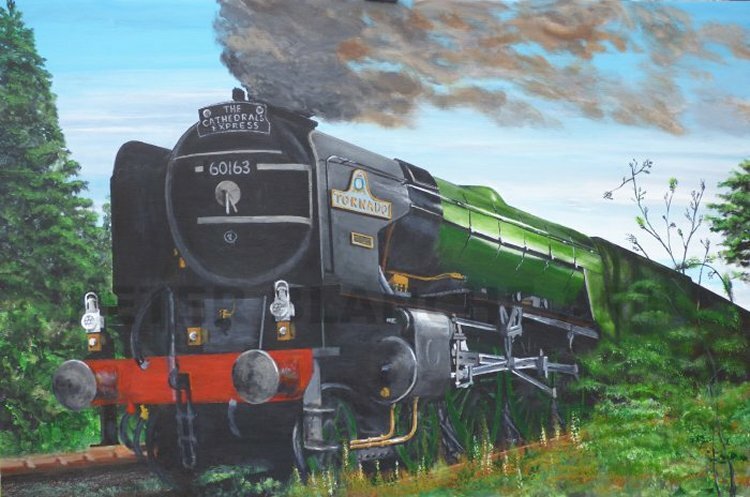 This is The Tornado at Canterbury on a day trip as The Cathedral Express. . It is very large and unframed. but it can be framed and hung normally and it is also very resiliant.